The function of the Conni Bed Pad is to absorb moisture, move it away from the surface and centre of the pad so you remain dry and comfortable. This is achieved using modern fibre technology. Careful blending of specially selected fibres guarantees a highly absorbent product. You may think all brands of bed pads and re-usable continence products are the same. THEY'RE NOT! A standard has been developed by a NATA (National Association of Testing Authorities) accredited laboratory to assess the performance of reusable absorbent bed pads. 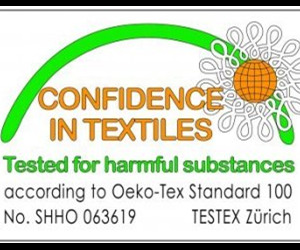 Every batch of Conni products is tested against this standard to ensure we are supplying the best. Surface wick back: the percentage of moisture passing back up through the top of the pad under pressure. The lower the percentage (or the less amount of moisture, the better). This varies according to body weight. % of fluid capacity: the amount of fluid the pad can hold compared to the actual weight of the pad. A light weight pad with large fluid holding capacity is best. Fluid holding capacity: the amount of fluid the pad can hold before overflow occurs. There is widespread concern about the use of toxic substances such as formaldehyde in textiles products. 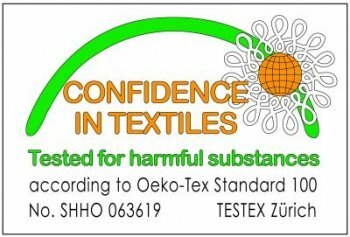 The Conni range does not contain this chemical and it is not used in our dyeing and finishing factory. 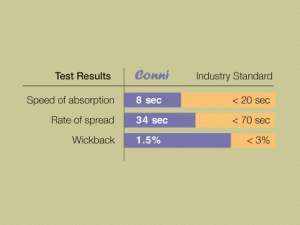 Each batch of Conni bed pads is laboratory tested at 80°C across 5 wash/dry cycles. The team at Conni understands the rigours of textiles in commercial laundry environments and our aim is to provide a cost-effective product that will perform in these conditions, again and again. Conni Bed Pads do not need to be laundered to activate the absorbency. This represents significant cost savings to the laundry. Our products are designed with 'non-piling' surface fabric which is critical for skin integrity issues particularly in aged or critical care. Statistics tell us that 64% of acute nursing time is taken up with continence issues. Many products used on hospital beds are not absorbent enough. 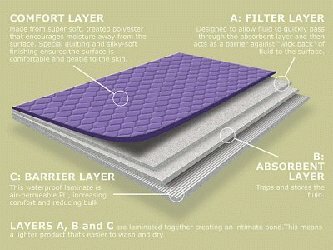 Conni Bed Pads have a guaranteed absorbent capacity that reduces the need for repeated bed changes.